It’s no secret that inactivity is bad for the body, and for the most part we all manage to keep ourselves active enough to fend off the threat of such unpleasant conditions as Deep Vein Thrombosis. Occasionally it’s impossible to get the exercise that we need, however, especially if living with a pre-existing condition, with long haul airplane flights a particular issue. 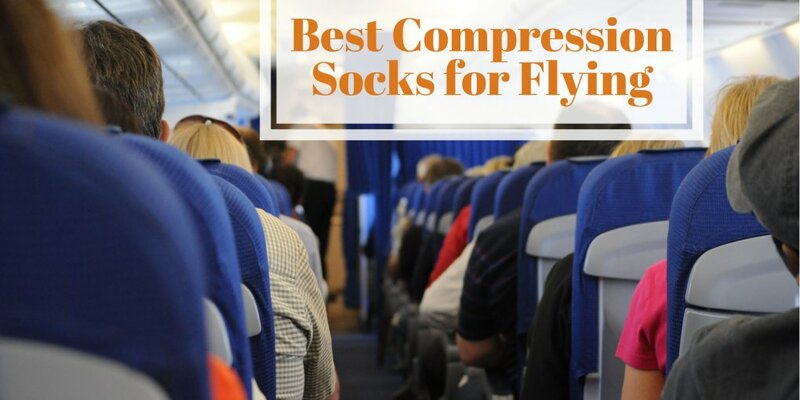 You may be aware of the concept of compression socks that improve circulation around the legs while we forced to sit tight, and are an essential consideration for any regular traveler. Of course, the question is whether there is actually any difference between different styles of compression sock, or whether anything will do. 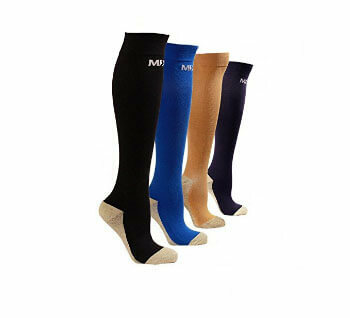 The key factor when selecting a pair of flight compression socks is, at the risk of sounding obvious, the size. Compressions socks do not always use traditional shoe sizes, instead operating on a S/M/L basis, and given that by their very nature they will be a tight fit you’ll want something with a little wriggle room. Compressions socks will never be the most comfortable footwear in the world by virtue of their very purpose, and you’ll want to avoid putting yourself in any kind of unnecessary pain; if the socks feel so tight that they are painful, they are too small, and considering that you’ll be expected to wear them for the full day of travel – not just during the flight – you’ll need to ensure they are appropriate. The easiest way to judge the appropriate size of compression socks is to measure your ankle, then your thigh, then the length between the two; the packing of most of these socks will then advise you what size to choose based on these dimensions. Compression is also variable from pair to pair. The lowest level of mmHg (millimeter of mercury, a measurement used by the aviation industry to measure air pressure) you’ll find on a pair of compression socks is 8, though some will raise as high as 40 – as you may have guessed, the sweet spot for most travellers falls in the middle at 20. The chances are any requirement for a higher mmHg will be as a result of some kind of medical condition – if this is the case, always seek the advice of a healthcare professional before making an investment. Compression socks should look like a traditional pair of sports socks, but the material is where they differ. Rather than straight cotton or nylon, a pair of flight compression socks will be made from a combination of spandex, lycra, nylon and rubber – with the spandex being the material that snaps around the ankle and keeps the socks tight. There is one final thing to note when purchasing compression socks – avoid a footless model of stocking, or a sock that leaves the toe exposed. These may be more comfortable and allow your feet to breathe a little easier, but they will also fail to fulfil the duty of the item in the first place. If your foot is left exposed you will find that blood pools through inactivity, which will cause more harm than good in the longer term. Enough of what not to buy, however; here are five models that you should look into. Unisex socks available in nine sizes, ranging from S to XXL and a vast range of colors, the MDSOX range pride themselves on their multi-purpose qualities. Whilst perfect for flights due to their 20mmGh compression, this footwear is also suitable for use by long distance runners, expectant mothers and those who are on their feet all day at work – they’re even approved by the healthcare profession for bed-ridden hospital patients. PROS –Very reasonable price point, a vast range of sizes and colors (of which the black, white or gray shades could pass as work uniform attire). CONS –These socks may be cheap, but that also comes with certain quality concerns – you may find them tearing or laddering before too long. As you may have guessed from the brand name, these socks are geared more toward sporting endeavours than long haul flights, but that makes them no less effective for travellers. The compression rating scales the heights at 30 mmHg, the design is subtle enough to pass for a conventional pair of dress socks, and an 80:20 ratio of nylon and spandex in the manufacture ensures that you will not feel as though you are wearing medicinal clothing. PROS –Hardwearing, effective and aesthetically pleasing, these are arguably the finest options for non-professionally prescribed compression socks. CONS –Like all compression socks, getting them on and staying comfortable may be an issue – make sure you allow a little leeway when selecting what size to order. Wanderlust specialize in equipment to improve the travel experience for anybody who may find themselves regularly boarding airplanes and jet setting all over the world, so they are certainly a brand to trust in this field. Constructed from a combination of cotton, polyester, nylon and lycra, these knee-high socks come with a user-friendly sizing guide and offer compression up to 20-30 mmHg. 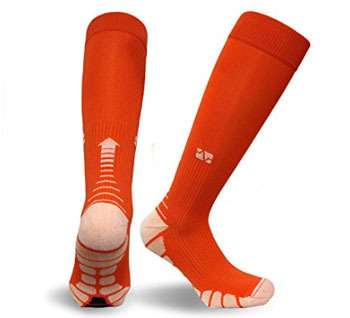 PROS –Easier than most rivals to put on and remove, and designed largely for use on aircraft, these socks are a fine choice for anybody who spends a regular amount of time in the air. CONS –They won’t last forever, so if you’re looking for socks to wear on a more everyday basis rather than just on flights maybe look elsewhere – these socks will only survive a handful of washes. If you’re a globetrotting fashionista horrified by the idea of the aesthetics of traditional compression socks, these fine Italian numbers are the answer to your prayers. Available in all kinds of colors in an elegant design, these socks also repeal odors that will prevent them from needing regular washing. PROS –Stylish, comfortable, and designed to stay dry no matter what you may put your foot in – these are definitely at the more premium end of the compression sock market. CONS –Definitely more expensive than the average pair of travel compression socks – how much are you prepared to pay? 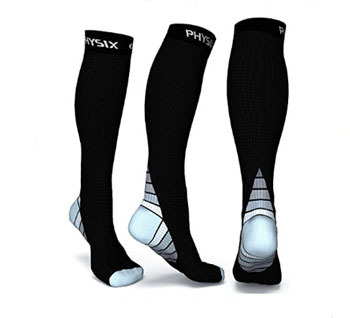 Offering compression of up to 30 mmHg, these socks are equally suitable to be used in sport as travel. The color schemes are visually appealing, and fabric used to make the socks ensures that your feet will still be able to breathe. 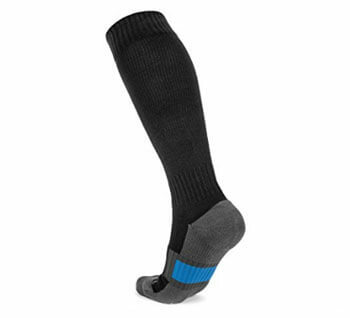 PROS –SB SOX clearly take the work seriously, and this wholly reputable brand have designed a fine product that is every bit as practical as it is pleasing on the eye. Very reasonable price point, too. CONS –Designed perhaps for sport more than travel,some users may find these socks a little uncomfortable if left static for too long.